Even 20 years on, the way in which Semler transformed his traditionally run family business into one which gives shopfloor workers the chance to set their own wages, run their own production lines and take control of the way the business moved forward is still inspirational and sadly, still rare. What I particularly like about it is that Semco is primarily a manufacturing firm (not a trendy techy start up) and is based in one of the emerging economies (Brazil) – if they can do it why can’t more? Anyone who studied for their CIPD qualification in the 1980s or 1990s will have probably used this as their “core” textbook – although it’s a fairly easy and straightforward read and not overly academic in style. 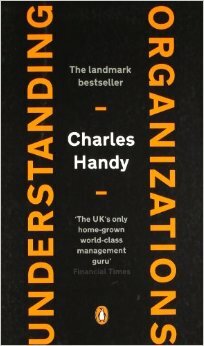 It’s not a ground-breaking book in itself, but it emphasises the “human” in human resources and its influence can still be felt throughout the HR profession. It’s my first port of call if I need to refresh my memory on an aspect of HR theory. 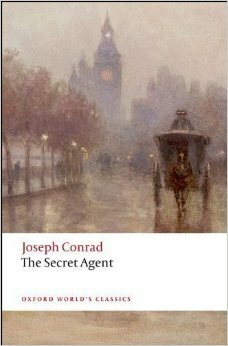 I’ve blogged before about Conrad and his unlikely status as an HR guru, and this is a classic case of “a novel you read as a teenager having an influence for the rest of your life”. Every character in this study of a terrorist cell in London is complex, with their own individual motivations, and their interplay and misunderstandings lead to tragic consequences – things that impact on the world of work where understanding why people are behaving in a particular way is key to resolving issues. Yes, this is two books – but both need to be read as Smith (who like Marx is often misrepresented) makes the important point that humans are both economic animals (we like to make a profit) and social animals (we have feelings for others and can understand their dilemmas and point of view). Balancing the two in business is a key skill in HR – we have to ensure that we achieve both. Awful, patronising tripe, a heavy handed way of making the point “if you don’t adapt you die”. 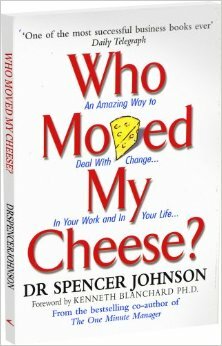 It’s the only management book I know to have been cited as a reason for unfair dismissal. So why is it here? Because it’s a constant reminder to me of how HR can and has been used almost as the “anti-people” department – and so it acts as a warning never to behave in that way!